The Boeing 314 Clipper was a long-range flying boat produced by the Boeing Airplane Company between 1938 and 1941. One of the largest aircraft of the time, it used the massive wing of Boeing's earlier XB-15 bomber prototype to achieve the range necessary for flights across the Atlantic and Pacific Oceans. 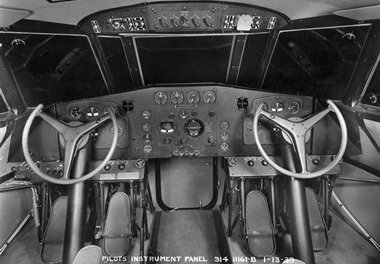 Twelve Clippers were built; nine were brought into service for Pan Am and later transferred to the U.S. military. The remaining three were sold to British Overseas Airways Corporation (BOAC) by Pan Am and delivered in early 1941. (BOAC's 3 Short S.26 transoceanic flying-boats had been requisitioned by the RAF). Pan Am's "Clippers" were built for "one-class" luxury air travel, a necessity given the long duration of transoceanic flights. 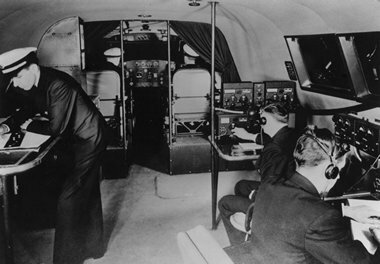 The seats could be converted into 36 bunks for overnight accommodation; with a cruising speed of 188 miles per hour (303 km/h) (typically flights at maximum gross weight were flown at 155 miles per hour (249 km/h)) in 1940 Pan Am's schedule San Francisco to Honolulu was 19 hours. 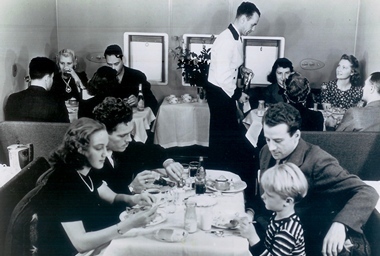 The 314s had a lounge and dining area, and the galleys were crewed by chefs from four-star hotels. Men and women were provided with separate dressing rooms, and white-coated stewards served five and six-course meals with gleaming silver service. 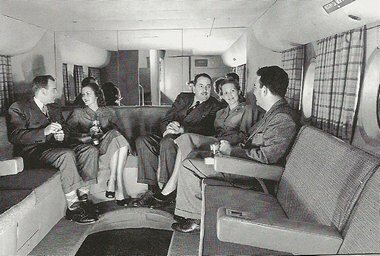 The standard of luxury on Pan American's Boeing 314s has rarely been matched on heavier-than-air transport since then; they were a form of travel for the super-rich, priced at $675 return from New York to Southampton (comparable to a round trip aboard Concorde in 2006). The last Pan Am 314 to be retired, the California Clipper NC18602, in 1946, had accumulated more than a million flight miles. Of the 12 Boeing 314 Clippers built three were lost to accidents, although only one of those resulted in fatalities: 24 passengers and crew aboard the Yankee Clipper NC18603 lost their lives in a landing accident at Cabo Ruivo Seaplane Base, in Lisbon, Portugal on 22 February 1943.